When the sun rises at 5 a.m., Song Ju-hee begins her day. After applying a lot of sunscreen on her face and wearing the most comfortable outfit she has, Song drives to her family’s farm in Hwacheon, Gangwon Province. She spends nearly 10 hours on the farm, where she grows corn, perilla, chili pepper and watermelon. 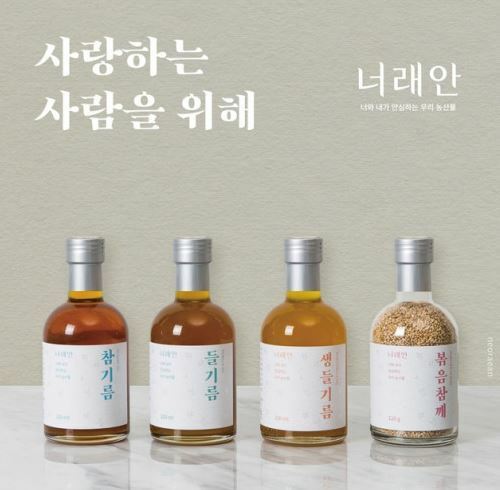 The 29-year-old farmer also runs a company named Neorean, which makes about 100 million won ($94,000) in annual sales by producing bottles of perilla and sesame oils. Song is regarded as one of the most successful farmers in their 20-30s. But until 2013, she was just one of those desperate job seekers in Seoul. “My self-esteem plummeted after going through continued failures in the city,” Song recalled in an interview with The Korea Herald. Song, who was born and raised in a remote town in Hwacheon, first came up to Seoul when she was 17. Unlike the rosy future she had imagined, the reality was harsh. She couldn’t go to the college she wanted. Song devoted a year to pass the state exam to become a police officer, only to fail again. “I kept thinking ‘What am I doing here?’ Life was meaningless at the time,” she said. Song returned to her hometown after her mother accidentally lost a finger while using a machine at her family’s farm. When she came home, she was embraced by warm welcomes from the neighborhood and the nature she grew up with. Song planned to stay in the town for a month, but a month became a season, and then a season became a year. 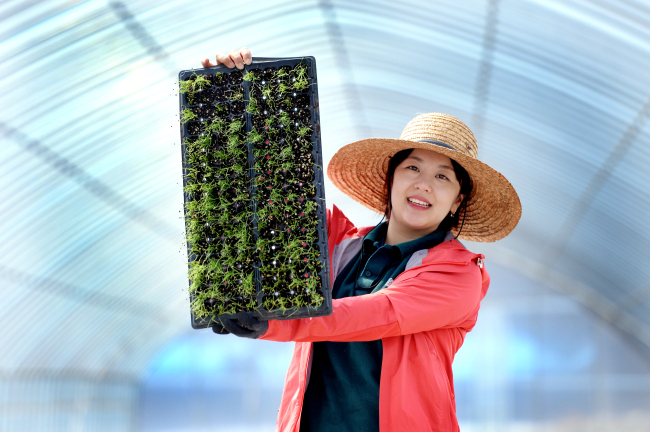 In 2014, Song decided to settle down in Hwacheon and succeed the family farm. It took a year to persuade her parents. Only after she followed her father every morning for a year, he started to teach her how to farm step by step. At the same time, she launched a business. She cleaned and fixed old machines at an abandoned factory located near her farm. With the freshly-harvested crops produced in the town, including her family farm, Song started to make bottles of perilla and sesame oil. Her adroit use of social media helped sell her products. Since she started the business, Song has filmed videos of herself working at the farm and factory, and posted them on social media platforms. Her social media followers, who witnessed the entire process of making fresh oil, turned into a loyal customer base. She now has more than 7,200 and 5,300 followers on her Facebook and Instagram, respectively. According to the data compiled by Statistics Korea, there were 11,296 farmers in their 20s and 30s running farm businesses in the country as of 2016. The number is expected to go up, as the Korean government has allotted extra budget for supporting young farmers. The Ministry of Agriculture, Food and Rural Affairs said it would pick 1,200 farmers aged under 40 and offer 1 million won ($1,060) each month for up to three years, and over 3,300 applicants applied for the project. “The first generation (of farmers in Korea) cultivated the basis of farming and the second generation stabilized the agriculture in the country. It’s our turn to expand the farming business,” Song said. In March, Song began to prepare for the new cycle of farming. “I’m not ready yet, but spring has already come!” Song wrote in her Instagram post last month, sharing a picture of sprouts in her farm. This year, Song’s husband, whom she married last year, will get down to the farming as well. “The moment when I sit in the middle of the field, watch my crops grow and drink a cup of coffee with my husband, I feel like I’m on top of the world,” Song said with a big smile. Following is the excerpts of the interview. Korea Herald: What did your family and friends say when you announced you’d become a farmer? Song Ju-hee: My parents strongly disagreed. My mother said she felt bad to see me following her path, as she spent her entire youth on the field. My father didn’t even give me a glance at first. KH: Which crop did you first grow on the farm? Song: I planted everything I wanted on 990 square meters of land I rented from my dad, such as beans, pumpkins and sweet potatoes. I thought I could do better than my dad, as he seems to farm without any scientific knowledge or backgrounds as I do. The harvest, however, was doomed on the first year. The theory and knowledge I learned from the book didn’t work as I expected. Farming was actually way more complicated. My dad then corrected the wrong techniques one by one. Now I focus on raising few crops. KH: Where did you learn farming and business skills? Song: I learned most of my farming skills from my father. He said every farm product has different characteristics, which means I have to treat them all differently. He taught me when to water each farm product and how to keep the perfect soil conditions for a good harvest. Free offline programs offered by agricultural technology centers were also helpful, as I could acquire the advanced farming techniques. Besides, I learned farming business management skills through the classes, such as accounting and marketing. KH: What motivated you start the business in Hwacheon? Song: At first, I wanted to help my parents and old farmers in the town. They were struggling to sell farm products at a proper price at the time. I thought I could sell them well by advertising them on social media pages or blogs. KH: What are the hurdles that young farmers face? Song: Many young farmers start their work on their parent’s farm, rather than starting from scratch on their own. It’s often tough to separate themselves from the parent’s guide, or interferences. It’s more like helping their parents as a worker, not an independent farmer. I saw many of them struggling to properly keep their relationships with their parents. Unstable income matters as well. Sometimes, farmers make zero revenue due to a bad harvest. KH: What are the strengths that young farmers have? Song: I think young farmers have special insights into ways to expand the farming business. In the past, farmers mainly focused on producing high-quality farm products. Farmers in their 20s and 30s, however, tend to pay more attention to how to sell farm produces, or how to tell the story behind growing the products effectively to consumers. The young farmers continuously ask consumers for feedback or even invite them to their farms by holding cultural events. People familiar with social media have the edge on those things.